The word meat in Japanese is niku (肉). 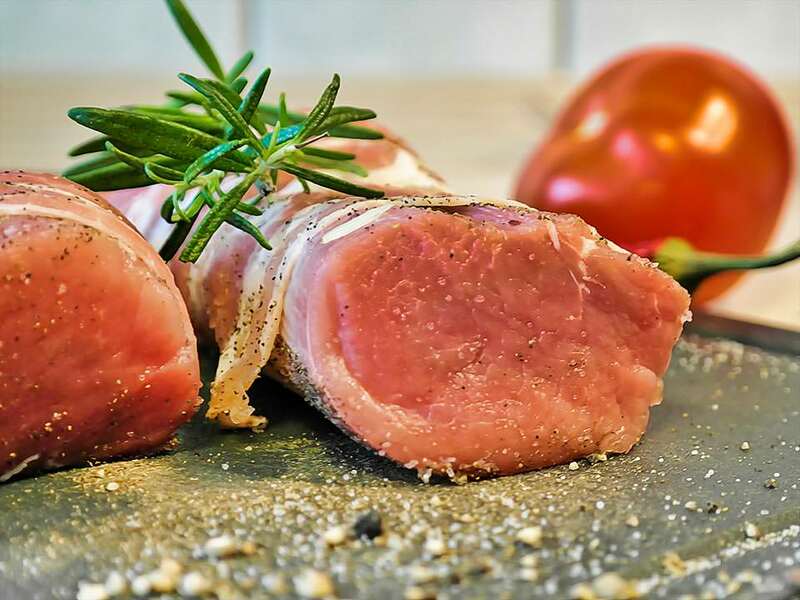 In this reference I offer simple definitions, translation, and pronunciation to help you learn more about meat in Japan (and the Japanese language). Is Kobe Beef Wagyū ? Butaniku is the Japanese word for pork. It’s the combination of buta (pig) and niku (meat). It is pronounced “boo-tah-knee-coo” (click here to hear it). You will usually see pork written in kanji, but here is the hiragana: ぶたにく. Butabara is pork belly, a lot like bacon, very fatty. It is pronounced “boo-tah-bah-la” (click here to hear it). You will usually see this written in kanji form — here is the hiragana version: ぶたばら. Chikin is the borrowed word for chicken. It is essentially the Japanese pronunciation of the English word. When dining in Japan you will most often see the katakana of this word チキン. However, some dishes may use the word tori (鳥), which more directly translates into bird. For example, tori-kawa is a type of yakitori — it’s grilled chicken skin. 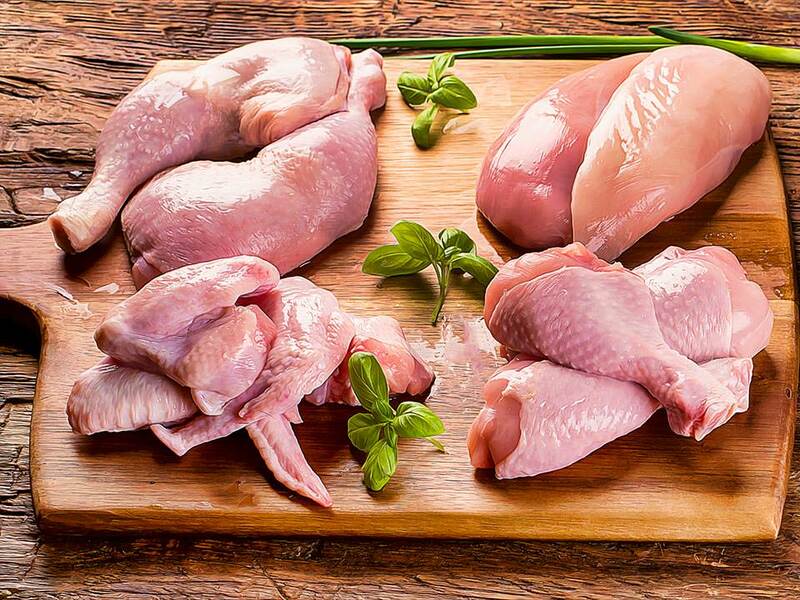 When shopping at a Japanese supermarket in the meats section, poultry are labeled with this kanji: 鶏肉 — and often they are sold by parts: momoniku (モモ肉), which is thigh meat, and muneniku (ムネ肉): breast meat. Gyūniku means beef. It’s a combination word of gyū (cow) and niku (meat). It is pronounced “gyou-knee-coo” (click here to hear it). Just like pork, you will usually see gyūniku written in kanji, here is the hiragana: ぎゅうにく. Beef can be quite pricey in supermarkets in Japan, especially the Japanese high-grade Kobe wagyū beef. Gyutan is a combination word that means beef tongue. It is pronounced “gyou–ta-n” (click here to hear it). You will usually see it written as kanji and katakana: 牛タン. Beef tongue is incredibly popular at Japanese yakiniku restaurants. You’ll often see it listed at the #1 most popular on the menu. Karubi is the boneless short-rib cut of beef. 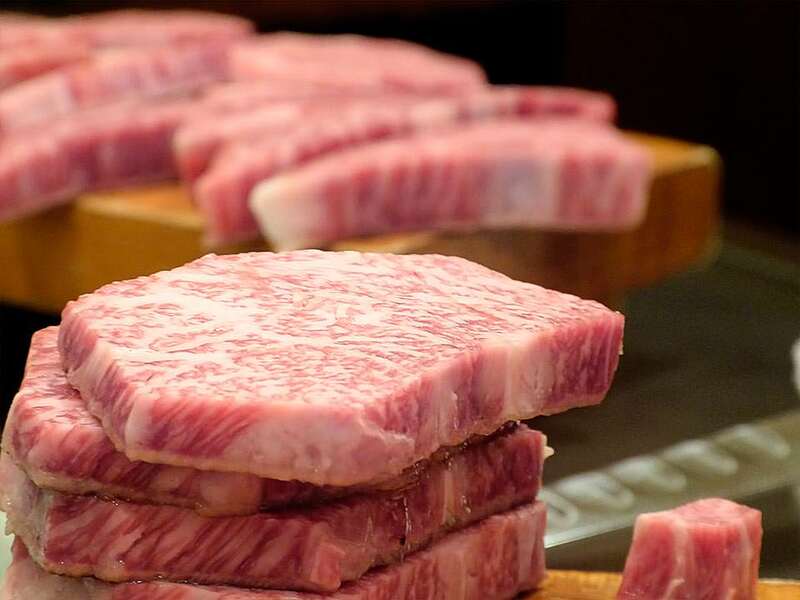 It’s soft, tender, and in high-end steakhouses/yakiniku restaurants it is very well marbled with fat. So much so it melts in your mouth. Many yakiniku shops will offer a variety of karubi choices since it is so popular. Each choice usually varies by quality and price. It is pronounced “ka-lou-bee” and usually you’ll see it written in katakana カルビ. Technically wagyū refers to Japanese cows. The wa denotes Japanese, and you already know gyū is beef. As you can probably guess, this means not all wagyū is the super high-end, expensive beef you imagine. There is “normal” priced wagyū beef in Japan too. If you’d like to learn all about wagyu check out this thorough article.